BleachHouseLibrary.ie: Book Review: Hunter and the Grape by Eoin C. Macken. 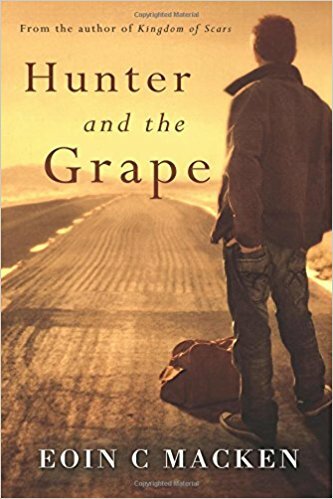 Book Review: Hunter and the Grape by Eoin C. Macken. Eighteen-year-old Cat is on a mission to find Sophie Durango, a girl who has stolen his heart (and his virginity). Fleeing his hometown in Albuquerque, with a few dollars and no real plan, he heads for Los Angeles and finds himself with an infuriating travelling partner, the quirky Star. The pair form an unlikely bond when their bus breaks down in the middle of the desert and they are forced to accept help from an old man and his sullen friend. Re-naming themselves Hunter and Grape they begin a journey of self-awareness, facing up to the past and discovering what true friendship means. This is the second YA novel from author, actor and screenwriter, Eoin Macken. Like his debut, Kingdom of Scars, this is a contemporary look at a young male's coming of age. Set along the dusty roads of New Mexico, the novel is brought to life with descriptive detail and memorable characters. The dialogue is simple and extremely effective, almost like a play divided into numerous Acts: Act One: A roadside encounter where the two main characters encounter each other for the first time; the initial bus journey and the development of a tentative relationship forming. Act Two: An isolated cabin where the teenagers witness the grief of a stranger. Act Three: Another dusty roadside, further character development and background stories. Act Four: A new friendship with a homeless man and his dog and a trip to Las Vegas. Act Five: An unscheduled trip to Los Angeles and the search for Cat's dream girl; a stolen bike, a new friendship with a lonely french man and a dip in the ocean. The scenery is minimal, as both Hunter and Grape are the main attraction. Their individual stories are all the audience needs. These teenagers are both victims of their upbringing and their circumstances. They are two lost souls who have found each other during their lowest moments. Without each other they may have travelled different paths, but together they complement each other and makes their pilgrimage one of adventure with semi-security. They need each other, despite their initial resistance. Damaged by their pasts, they need to face the realities of the present and learn to wade-into the future. This is YA fiction, but with a leaning toward drama. A little slow to start, it builds up as the Acts progress and the characters reveal some of their back-stories. Hunter is struggling to be the alpha-male (lots of fist fights and hard-ons) and Grape uses her feminine charms far to much for my liking (including kissing random men to avoid confrontation). 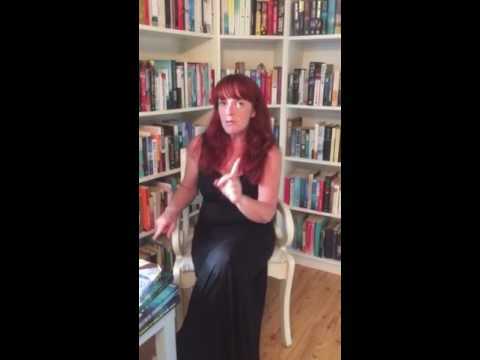 There is a sexist undertone throughout the novel which, as an adult reader, I found uncomfortable. I hope that young adult readers will realise that this is not the way gender should be categorised. However, Hunter is a genuinely nice guy, with a good heart, and matures as he travels on his journey. A charming, road-trip novel which takes two damaged teenagers on an unlikely adventure through the blistering heat of New Mexico and on to the more capable landscape of Los Angeles. Hunter and the Grape is refreshingly different to other YA novels, with an edgy and arty feel, which would be magnificent on stage or screen. Ideal for older teenagers and young adults alike. *We received a copy of this title, from the publishers, in return for an honest review.